Concept Kids Animals is a cooperative version of the game Concept, adapted for children who don't yet know how to read. In turn, the children attempt to make the others guess an animal by playing pawns on the illustrated icons on the game board. Through this, the child indicates a feature of the animal to be guessed. Draw 12 cards and attempt to find as many animals as possible in order to get the most points together! 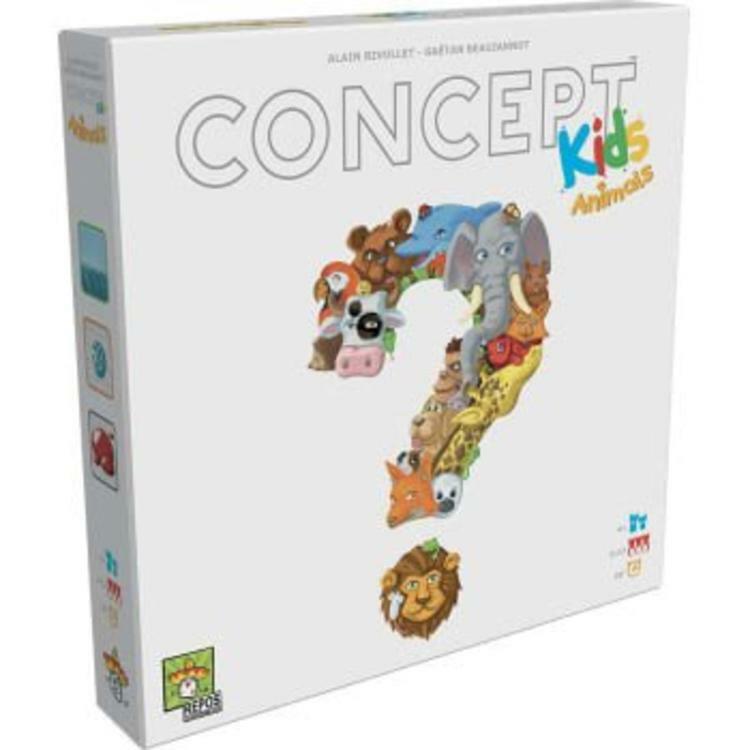 Concept Kids Animals offers 110 animals to be guessed, divided into two difficulty levels. Beautifully illustrated by Eric Azagury, this communication game for children will allow them to discover the world of animals in a fun and innovative way.